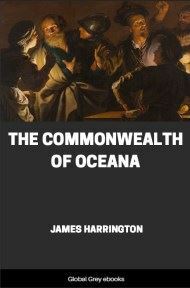 The Commonwealth of Oceana, published 1656, is a composition of political philosophy written by the English politician and essayist, James Harrington (1611–1677). 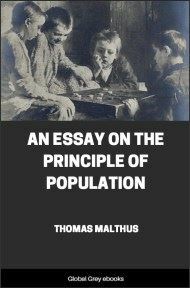 It is an exposition on an ideal constitution, designed to allow for the existence of a utopian republic. JANOTTI, the most excellent describer of the Commonwealth of Venice, divides the whole series of government into two times or periods: the one ending with the liberty of Rome, which was the course or empire, as I may call it, of ancient prudence, first discovered to mankind by God himself in the fabric of the commonwealth of Israel, and afterward picked out of his footsteps in nature, and unanimously followed by the Greeks and Romans; the other beginning with the arms of Caesar, which, extinguishing liberty, were the transition of ancient into modern prudence, introduced by those inundations of Huns, Goths, Vandals, Lombards, Saxons, which, breaking the Roman Empire, deformed the whole face of the world with those ill-features of government, which at this time are become far worse in these western parts, except Venice, which, escaping the hands of the barbarians by virtue of its impregnable situation, has had its eye fixed upon ancient prudence, and is attained to a perfection even beyond the copy. Relation being had to these two times, government (to define it de jure, or according to ancient prudence) is an art whereby a civil society of men is instituted and preserved upon the foundation of common right or interest; or, to follow Aristotle and Livy, it is the empire of laws, and not of men. And government (to define it de facto, or according to modern prudence) is an art whereby some man, or some few men, subject a city or a nation, and rule it according to his or their private interest; which, because the laws in such cases are made according to the interest of a man, or of some few families, may be said to be the empire of men, and not of laws. The former kind is that which Machiavel (whose books are neglected) is the only politician that has gone about to retrieve; and that Leviathan (who would have his book imposed upon the universities) goes about to destroy. For “it is,” says he, “another error of Aristotle’s politics that in a well-ordered commonwealth, not men should govern, but the laws. 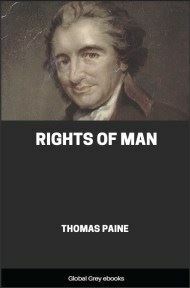 What man that has his natural senses, though he can neither write nor read, does not find himself governed by them he fears, and believes can kill or hurt him when he obeys not? or, who believes that the law can hurt him, which is but words and paper, without the hands and swords of men?” I confess that the magistrate upon his bench is that to the law which a gunner upon his platform is to his cannon. Nevertheless, I should not dare to argue with a man of any ingenuity after this manner. A whole army, though they can neither write nor read, are not afraid of a platform, which they know is but earth or stone; nor of a cannon, which, without a hand to give fire to it, is but cold iron; therefore a whole army is afraid of one man. But of this kind is the ratiocination of Leviathan, as I shall show in divers places that come in my way, throughout his whole politics, or worse; as where he says, “of Aristotle and of Cicero, of the Greeks, and of the Romans, who lived under popular States, that they derived those rights, not from the principles of nature, but transcribed them into their books out of the practice of their own commonwealths, as grammarians describe the rules of language out of poets.” Which is as if a man should tell famous Harvey that he transcribed his circulation of the blood, not out of the principles of nature, but out of the anatomy of this or that body. To go on therefore with his preliminary discourse, I shall divide it, according to the two definitions of government relating to Janotti’s two times, in two parts: the first, treating of the principles of government in general, and according to the ancients; the second, treating of the late governments of Oceana in particular, and in that of modern prudence. 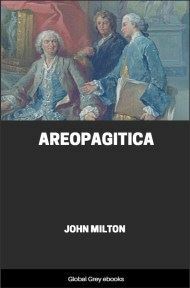 Government, according to the ancients, and their learned disciple Machiavel, the only politician of later ages, is of three kinds: the government of one man, or of the better sort, or of the whole people; which, by their more learned names, are called monarchy, aristocracy, and democracy. These they hold, through their proneness to degenerate, to be all evil. For whereas they that govern should govern according to reason, if they govern according to passion they do that which they should not do. Wherefore, as reason and passion are two things, so government by reason is one thing, and the corruption of government by passion is another thing, but not always another government: as a body that is alive is one thing, and a body that is dead is another thing, but not always another creature, though the corruption of one comes at length to be the generation of another. The corruption then of monarchy is called tyranny; that of aristocracy, oligarchy and that of democracy, anarchy. But legislators, having found these three governments at the best to be naught, have invented another, consisting of a mixture of them all, which only is good. This is the doctrine of the ancients. 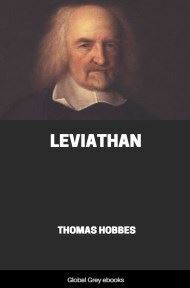 But Leviathan is positive that they are all deceived, and that there is no other government in nature than one of the three; as also that the flesh of them cannot stink, the names of their corruptions being but the names of men’s fancies, which will be understood when we are shown which of them was Senatus Populusque Romanus. To go my own way, and yet to follow the ancients, the principles of government are twofold: internal, or the goods of the mind; and external, or the goods of fortune. The goods of the mind are natural or acquired virtues, as wisdom, prudence, and courage, etc. The goods of fortune are riches. There be goods also of the body, as health, beauty, strength; but these are not to be brought into account upon this score, because if a man or an army acquires victory or empire, it is more from their discipline, arms, and courage than from their natural health, beauty, or strength, in regard that a people conquered may have more of natural strength, beauty, and health, and yet find little remedy. 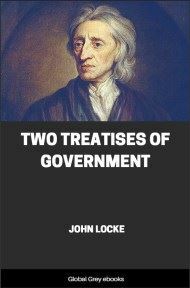 The principles of government then are in the goods of the mind, or in the goods of fortune. To the goods of the mind answers authority; to the goods of fortune, power or empire.